From AmazonI've just concluded a vacation during which I had time to build a lot of Lego (tm) with my sons. That's really a lot of fun and very developing for the kids I notice. With my oldest, Albert, we have much fun following description and building the house to the left.My other sons more like to build something that just comes up with the pieces they have in hand.After sitting with Albert a couple of hours I started to recognise the personality the Lego building brought forth in me; this was coaching-Marcus talking.I think this is a really good exercise and in this short post I'll show you a couple things that I noticed and that was very eye-opening for me. I've just concluded a vacation during which I had time to build a lot of Lego (tm) with my sons. That's really a lot of fun and very developing for the kids I notice. 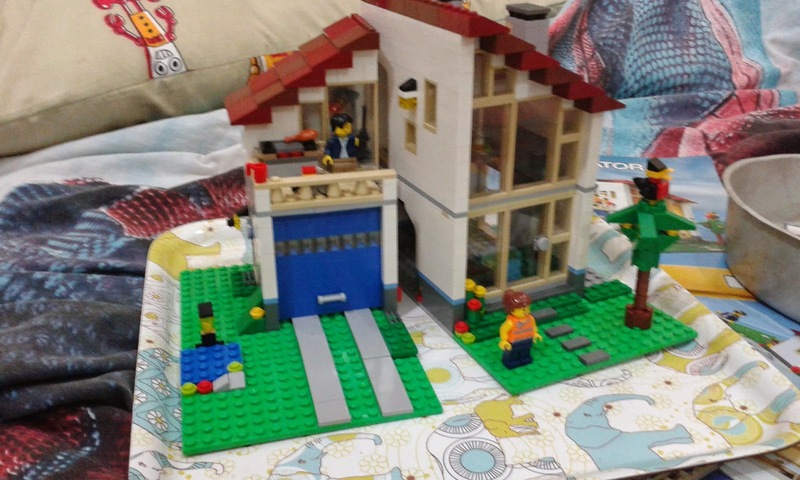 With my oldest, Albert, we have much fun following description and building the house to the left. My other sons more like to build something that just comes up with the pieces they have in hand. After sitting with Albert a couple of hours I started to recognise the personality the Lego building brought forth in me; this was coaching-Marcus talking. I think this is a really good exercise and in this short post I'll show you a couple things that I noticed and that was very eye-opening for me. The whole thing is quite simple. Get a Lego model that you and a kid you have close. I did this with my own kids, but you can "borrow" one. Just ask permission or it all end up strange and a bit criminal :). Below I named my son "the kid". Then bascially just build the model. 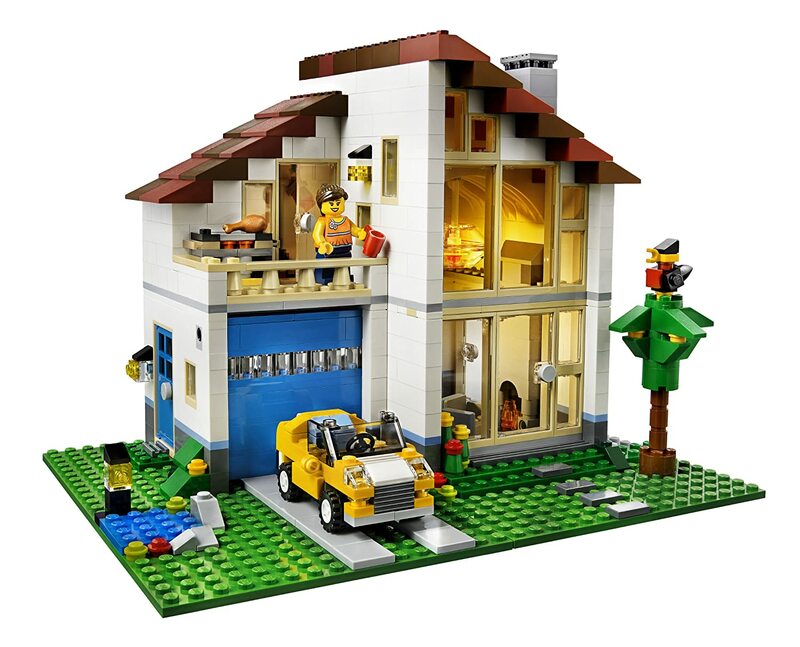 I try not to touch the Legos as an exercise for myself and also try to involve my sons more and more in the goals, and the plans on how we're going to build. 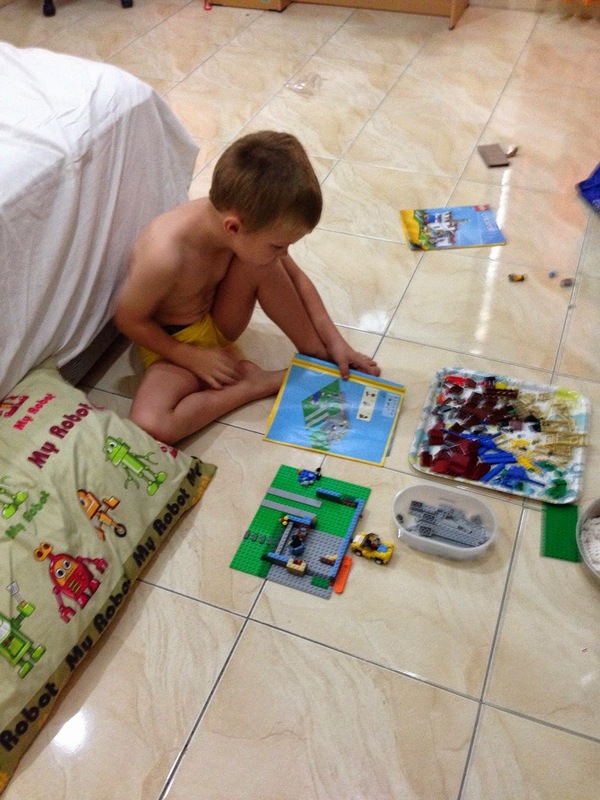 This will be a gradual process that have to do with experiences of Lego-building you and your kid have. Now, the most important part, is that you afterwards reflect on your behaviour. What worked? What failed? What do you call failure? What does the kid call failure? What felt good? What felt bad? When did you have most fun? When did you see progress in how the kid acted and understood? What did you say to reach that point? And other questions like that. I quickly got hold of the instructions book and read from it. Meaning that my son didn't really understand how to read these instructions. In the beginning of our building project I was giving very explicit instructions; "get a 2x2 piece and put it here [pointing to the place]". After awhile I took another approach describing what we were about to do: "Now we are going to build the balcony"
I was very bad indeed in allowing him to make misstakes; "No! That's the wrong place for that piece, it will be crooked". It was really really hard for me seeing problems without correcting them immediately. During the entire build Albert kept talking about how wonderful the thing would be to use when it was completed. In the end I gave Albert small projects of his own; "Here build the bed and then put it in the right place, as shown on the description". He grew more confident by the minute from that, and started to do more and more on his own. Now, I know that building is just for the fun of it. And we sure had fun (that specific model is really cool as well because it can be rebuilt in 3 different ways). These reflections was just something that popped into my head as we went along. Always ask the person to restate the reason for Why you are doing what you are doing right now. Maybe, just maybe, there are ways to do this that you didn't think off. Would you want to be the one holding back the creativity of new stars? I of course have to show the finished product.